A multifunctional, clay-based cleanser that washes away dead skin cells, pore-clogging oil, and buildup, leaving skin fresher, smoother, firmer. 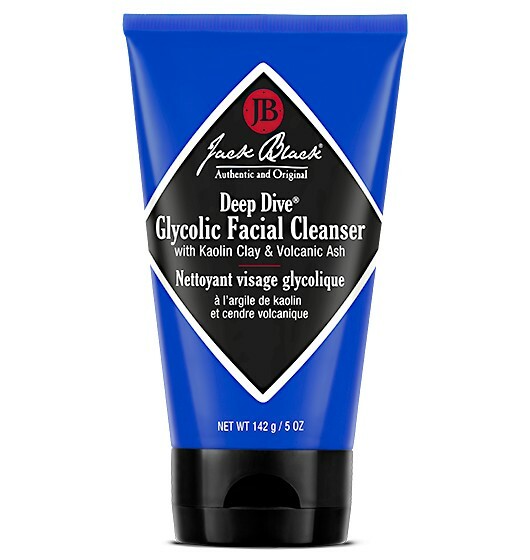 For deep down cleaning, this 2-in-1 cleanser can also be used as a purifying mask when left to dry on skin. Recommended for normal, combination and oily skin. Safe for sensitive skin. Glycolic Acid: A highly effective chemical exfoliant removes dead skin cell buildup for noticeably softer, firmer, clearer skin. Also helps to prevent ingrown hairs. Volcanic Ash: Packed with revitalizing antioxidants, the natural particles work as a gentle physical exfoliant to help smooth, and resurface the skin. Kaolin Clay: A natural clay that draws out skin impurities, oil and dirt, plus helps control oiliness due to its natural absorption properties. As a cleanser: Apply a small amount to wet hands, work into a creamy lather, and apply to slightly damp face using a circular motion. Immediately rinse. As a mask: Apply a small amount to dry face and evenly apply using a circular motion, avoiding eye area and lips. Allow to dry approximately 5 minutes. Rinse.